I was delighted to be given the opportunity last night to be in the first party to try the new Sunset over London tour of St John’s Church in the centre of Leytonstone. I have been up the tower once before, many years ago, when it was so cloudy you could hardly see as far as Leytonstone Overground station and I was hoping that wasn’t going to happen again after this awful summer. I was not disappointed. There was cloud in the sky but still some sun breaking through and as the sun went down there was a distinctly red glow from the West. The tour starts with half an hour of musical entertainment. Last night it was a delightful performance by Rachel Smith who played flute, alto flute and piccolo with works by Bach, Ibert, Piazolla, Debussy and a composer, Paul Lewis, who had written a piece especially for her. Rachel is a professional flautist who has played throughout the world and on BBC radio and television and has recently released a CD Aquarelles. Different musicians will play at each tour. Hard hats are provided for the tour and you are advised to wear trainers — certainly not high heels — and clothes that won’t mind a bit of dust. It is good advice as the winding stairs to the top are narrow for most of the way and very narrow at the top. It’s probably best to visit one of Leytonstone’s restaurants after the tour, rather than have a hearty meal beforehand, though none of us got stuck! The views from the top are really spectacular. 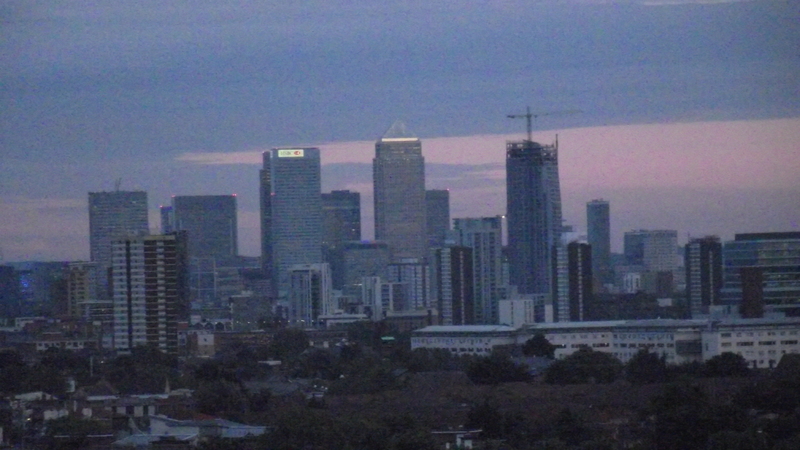 Although a church steeple may not seem very high compared with the London Eye or the new ArcelorMittal OrbitTower in the Olympic Park, when it opens, St John’s has the distinct advantage that Leytonstone is already one of the highest points in London so the top of the tower really does have unparalled views. You have a full half an hour to study the vista. 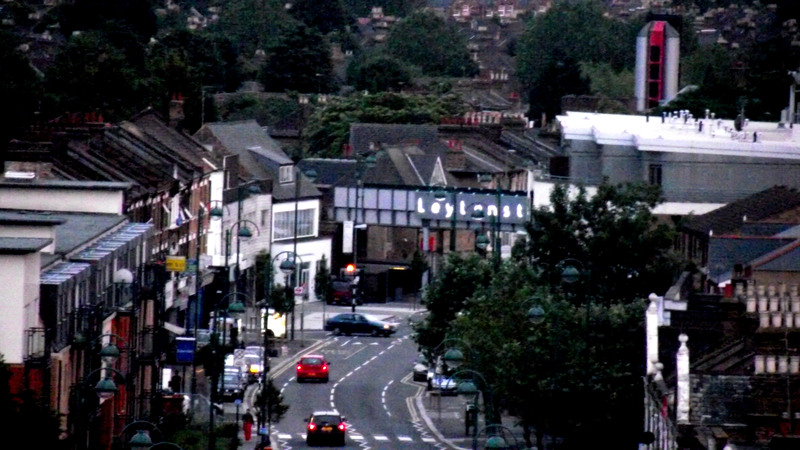 If you are a local you will see Leytonstone in a completely new light and the first thing that strikes you is just how much greenery you can see compared with many other parts of London. 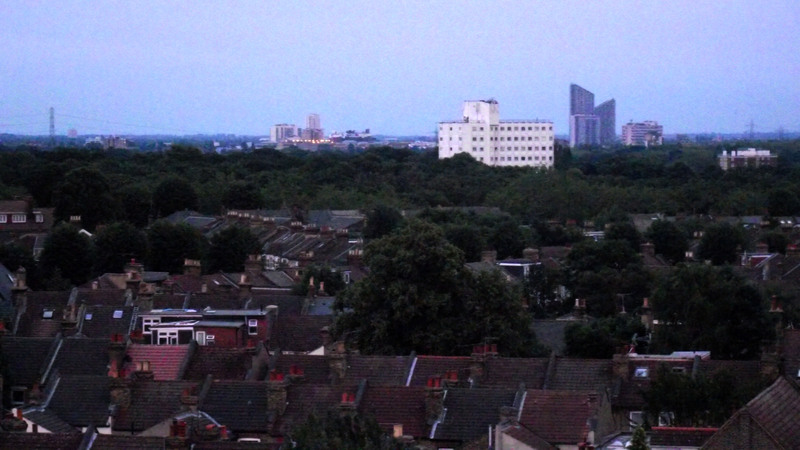 Even if you have never been to Leytonstone before, you will find you have a good view of the Olympic Park and right over London. 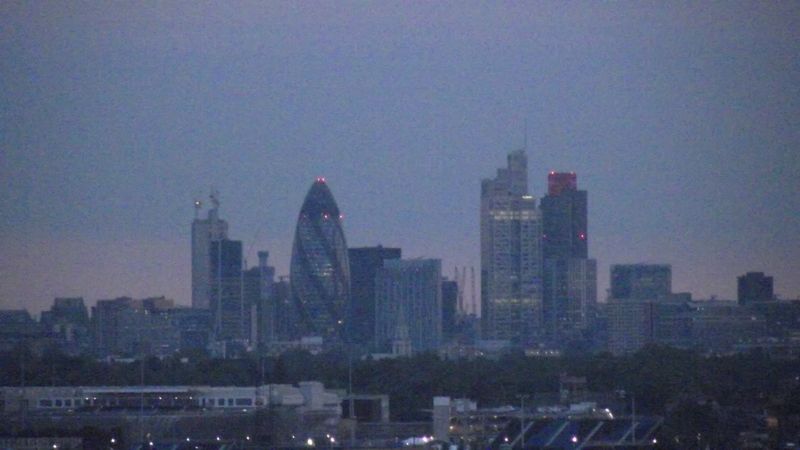 You can see the O2 in Greenwich, Canary Wharf, the City of London, the Shard, which was inaugurated yesterday, and even as far as the London Eye. Looking East you can see to across Newham and Redbridge towards Havering and Barking & Dagenham. To the West you can see Enfield on the other side of the Lea Valley, and Hackney and Haringey, which if my geography is correct is where the sun was setting. You are provided with a four page guide to the many sights you can see and you can borrow binoculars. As a bonus we also got to see the fireworks display from one of Waltham Forest’s Urban Classic event, part of its Big6 events season. After descending the tower there was a choice of tea, coffee, hot chocolate and biscuits (all Fairtrade and included in the ticket) and a chance to chat to others in the party. Part of the reason for introducing these tours is to raise money for the church to pay off the expenses it has incurred in its recent restoration,. However, Rev Draper is also keen to stress that he sees the church very much as part of the community and wants to welcome everyone from the community. There’s no attempt to enrol you and anyone from any denomination, or no denomination, would feel just as comfortable visiting. This is one part of the community opening up a facility to the whole community and it is one of Leytonstone’s hidden gems that everybody should take the opportunity to enjoy. St John’s Church has a regular programme of concerts open to the public, many of them free, and there is also the churchyard trail. Having had the fortune of going up the tower a few years ago I can totally agree it’s well worth the climb! Also great to help St John’s restoration fund as it’s such an important landmark in Leytonstone. Also, can I have some of the photographs for Leytonstone Museum online archive please?